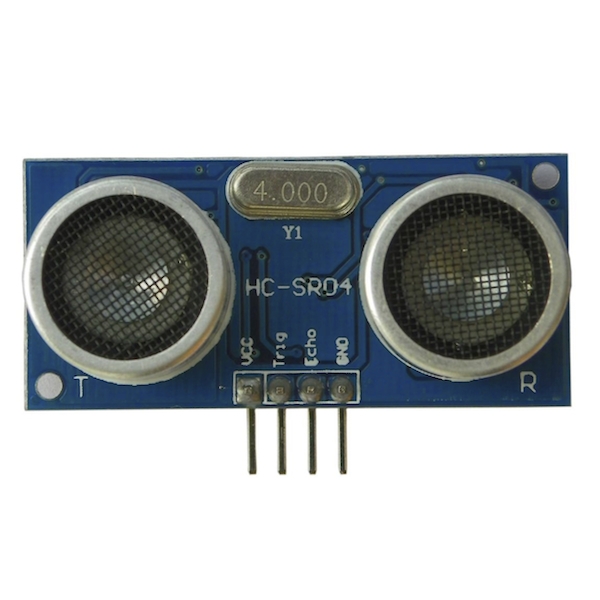 The HC-SR04 Ultrasonic Range Sensor is used to measure distances by using ultrasonic sounds. It works by sending out a burst of ultrasound and listening for the echo when it bounces off of an object. A short pulse to trigger the detection, then listens for a pulse on the echo pin. The duration of this second pulse is equal to the time taken by the ultrasound to travel to the object and back to the sensor. Using the speed of sound, this time can be converted to distance. 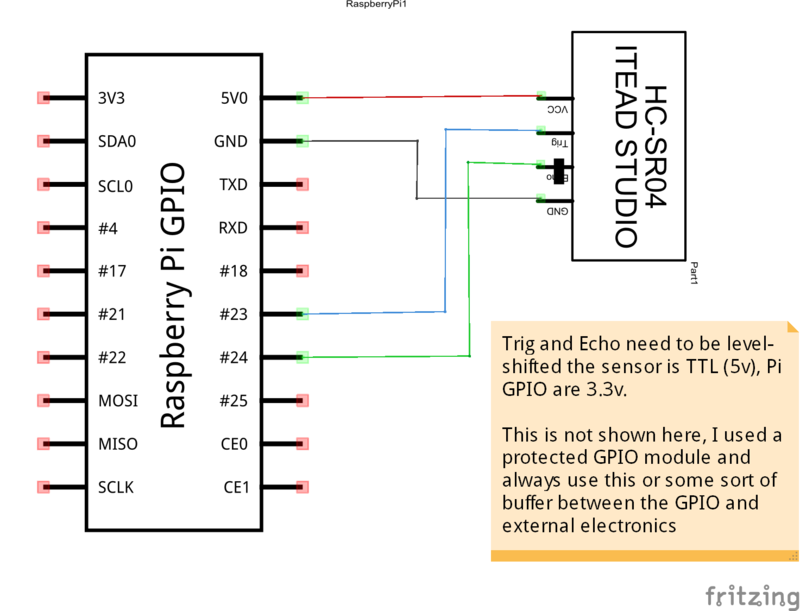 Now as you may see from the specs above the output is a 5v TTL signal, if this is directly placed on to a GPIO pin of your PI then this may damage it. 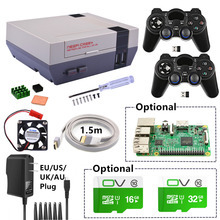 You will need either a voltage divider to drop down to 3.3v, a level shifter or in my case I used a protected GPIO board from cyntech – http://shop.cyntech.co.uk/products/protected-gpio-extender. 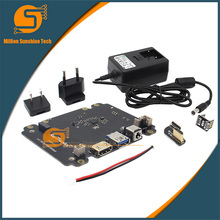 If you visit the site you’ll see that this offers protection to the GPIO pins. 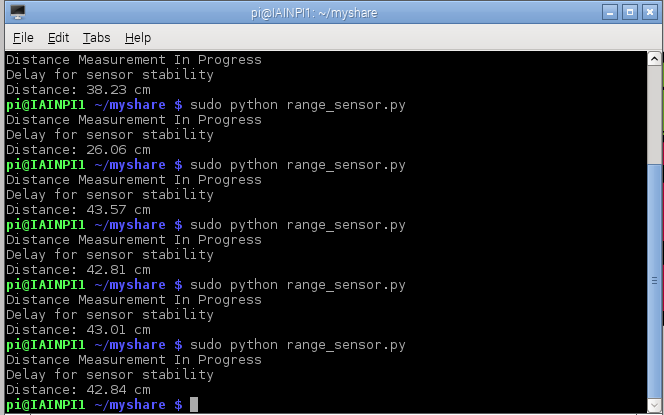 print "Delay for sensor stability"